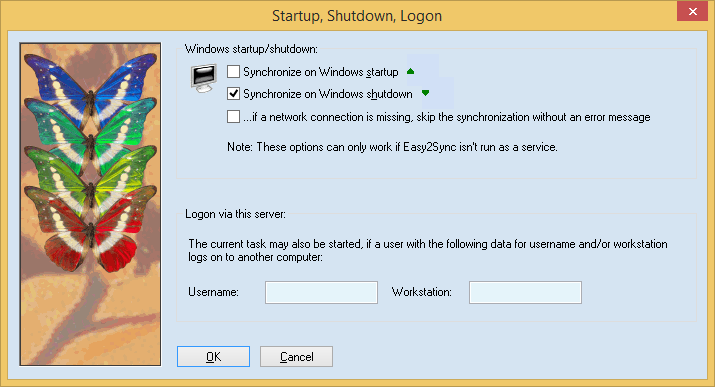 Finally, you may also tell Easy2Sync to start the current task if a certain user logs on to this server. This works only if the current computer is a windows server. The user does not have to sit in front of this computer. The idea behind this is, that the user logs on using his computer (somewhere else) which uses the network to log on to this server and so triggers the synchronization on this computer.